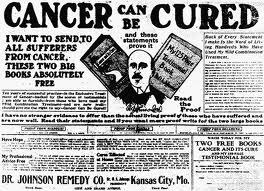 Many proponents of alternative medicine claim that surgical removal of cancer is very dangerous because it will cause the cancer to spread. Therefore, they strongly advise against any kind of surgery in case of cancer. Just now on the twelve o’clock BBC news I heard that Sir Sandy Macara, former chairman of the British Medical Association, thinks that children should not be allowed to enter school when they have not been immunised. It also made headlines in today’s Guardian. Switzerland to insert CAM in the constitution? Yes we know, it’s off topic. But this is just too good to pass by on: it’s Tony Isaac’s Swine Flu Protocol! So wonderfully simple, a piece of cake really, and not at all time consuming. Who needs science when they can have this? Enjoy! Today, Tony was asked by “Silviag” what would be the best treatment for Silviag’s mother, who is suffering form liver cancer. Matthias Rat(h), a mega vitamin salesman who claims that his pills can cure diseases such as cancer and aids, is without a doubt one of the biggest and most ruthless quacks of our time. Mr Rath usually harassess his critics into silence by filing libel suits against them. But on 12 September 2008, Matthias Rath dropped a year-long libel action against the Guardian and Ben Goldacre and was ordered to pay costs. Rath sued over three Guardian articles that condemned his promotional activities among Aids sufferers in South African townships. At the time, Goldacre was writing his book “Bad Science.” There was to be a chapter on Matthias Rath, but because Rath was suing Goldacre, the chapter could not be published. Goldacre has now published the missing chapter on his website Bad Science.